The Russian Public Prosecution Service has filed charges against 24 crew members of the three Ukrainian ships which were boarded by the Russian Navy in the Kerch Strait last week. The seaman are accused of ‘illegal border crossing,’ as reported by Russian news agency TASS Monday and on the basis of their lawyer Mr Nikolaj Polosov. Mr Polosov claims he has no direct contact with his clients since they were transferred from the Crimean peninsula (which was annexed by Russia in 2014). The sailors will remain in custody for at least another two months. Earlier they made ‘guilty’ confessions on Russian TV for the crimes, which they were accused of, but according to Ukrainian authorities this was done under pressure. Ukrainian President Petro Poroshenko demands that Moscow ensures a quick return of the Ukrainian sailors. Related coverage: Europe Slams Russia Over Ukraine, But Remains Hooked On Putin’s Pipeline. A week ago, three Ukrainian ships were boarded by the Russian Coast Guard. Kiev then claimed the boats had been illegally sieged. The incident led to international outrage with most of the Western powers condemning Russia for its actions. 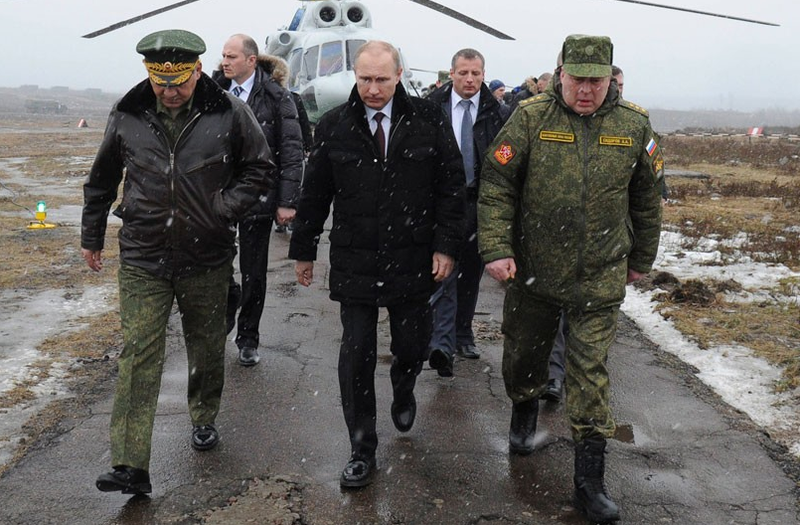 The Ukrainian accusation that Russia plans to form a land corridor between the Crimean peninsula and Eastern Ukraine, which is controlled by pro-Russian separatists, is absurd, the Kremlin said on Monday. Some Ukrainian politicians had suggested that the campaign was a prelude to a wider Russian invasion. "It is an absurd statement," said Kremlin spokesman Dmitri Peskov. "It is a new attempt to create tension." Ukrainina President Poroshenko meanwhile renewed his demand for "Germany and the allies" to increase their naval presence in the Black Sea, saying “we need a strong, unified, unambiguous reaction to Russia's aggressive behavior." "Moscow is trying to create a land corridor from occupied Donbas to occupied Crimea by blockading the port cities of Mariupol and Berdyansk," claims Poroshenko, who believes the Russian army is amassing troops near the border. Saw the interview with the Ukrainian sailor, he said they did it on purpose. The plan was to cause an incident #falseflag. Putin is exactly correct in what he is doing. Russia MUST take over the entire Ukraine before they have a chance to become part of evil NATO.